Instead of little green men, they may be formed by little brown ants. 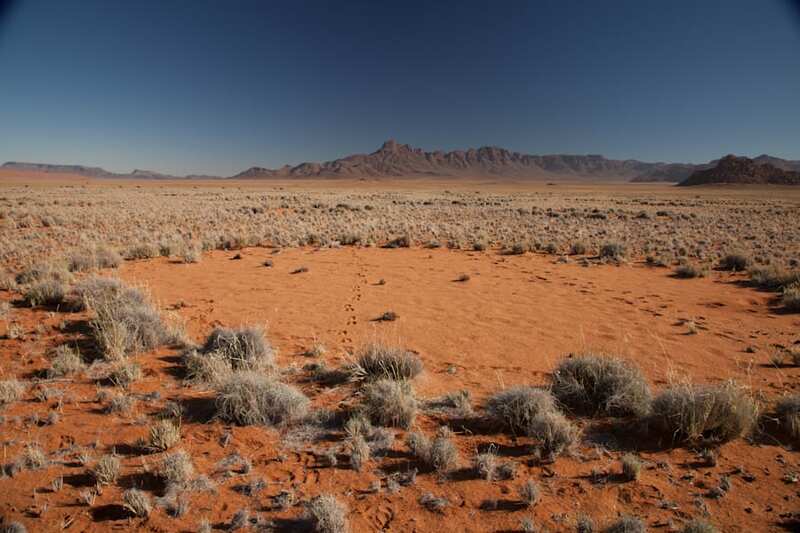 Deep in the deserts of Namibia, bare circles are seemingly punched out of the tall grass -- sometimes 25 metres across -- that have come to be known as 'fairy circles'. On the other side of the world in the Northern Territory's Litchfield National Park, these same crop circle-like shapes were last year found among the straggly spinifex. Princeton University researchers set out to determine how these mysterious circles formed, and they've got two compelling schools of thought. 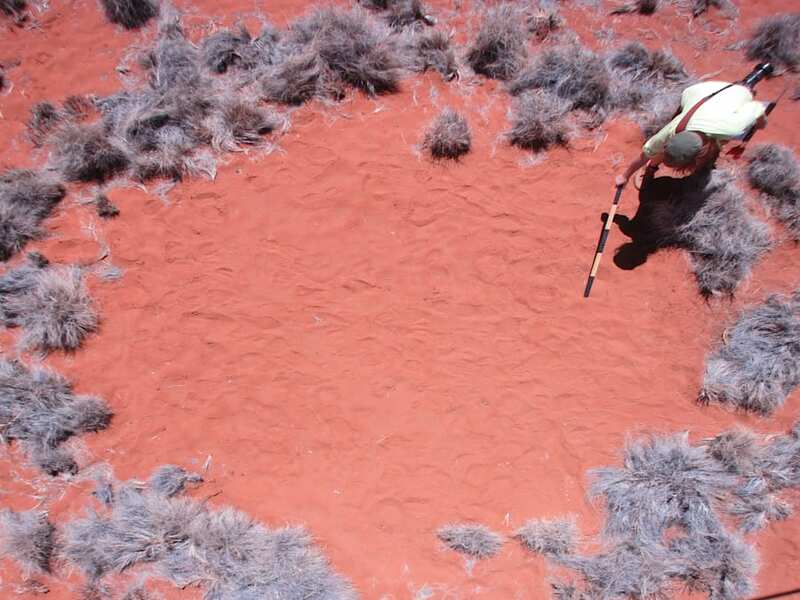 A researcher investigates an Australian 'fairy circle'. Instead of extraterrestrial, their solution is subterranean -- with insects and plants battling below the surface for resources. 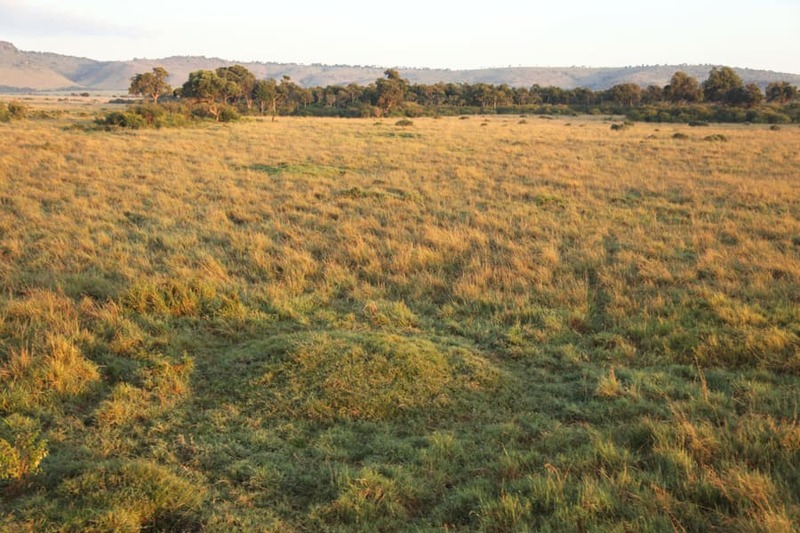 The researchers found there were similar regularly spaced circular or hexagonal shapes in landscapes across the world, including mounds in the Masai Mara National Reserve, Kenya. Termite mounds create small humps in Kenya's Masai Mara Reserve. Using Namibian fairy circles as a case study, they showed that two popular schools of thought worked together to create the pattern. On the one hand, researchers through interactions between sand termite colonies created the shapes, while a competing view was that grasses had a complex way of helping some neighbours, but attacking others led to the circles. The researchers said fierce competition below the surface between sand termites and the grass itself together led to a natural bunching and separating of resources, which, when viewed from above, looked remarkably regular. Beneath the surface of this fairy circle, grass and termites are fighting for resources.